- The road race has been moved from Bergen to Dogpound. It's a lot closer to Calgary, and shouldn't mean such a long day for everyone. 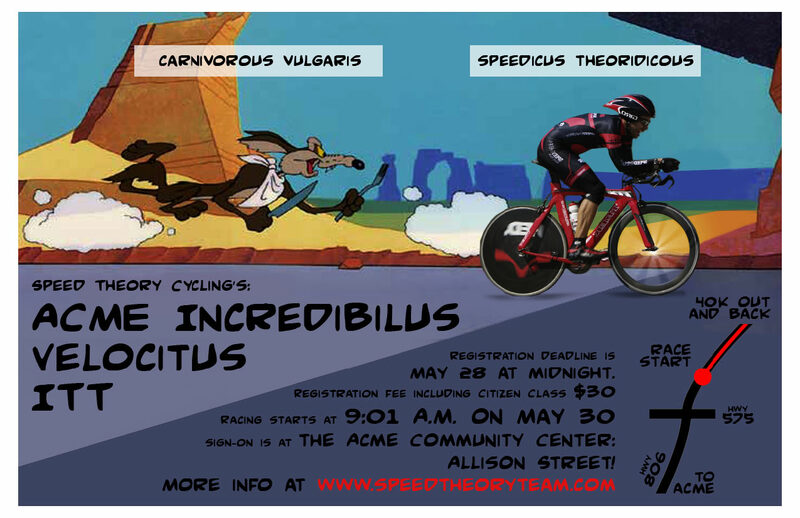 - Unfortunately, there's now some significant building construction on the Downtown Crit course, so the crit will be on hiatus for this year. Bummer. Stay tuned for the Volunteer sign-up link and Tech Guide. NOTE: See Carl's comment below. Glad to hear he's in good spirits. Speedy recovery, Carl! 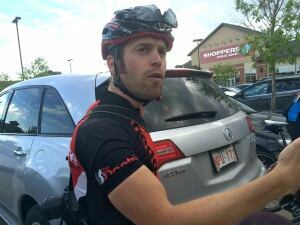 Our very own Trev Williams is featured on the CBC Calgary article "Road Cycling the new golf for business networking". Trev's doing some great work introducing people to cycling and building up their confidence on the road. Hopefully we'll see more of them our for WNS and ABA races in the near future! Interview on the Calgary Eyeopener here. Carl Miiller's condition after crash at Wheeler's ride this morning. UPDATE: I went to see Carl in the hospital and brought him a smoothie in a Banff Bike Fest water bottle to get him pumped for when he'll be back on the bike. The doctors right now are saying they'll probably keep him in the hospital a couple days just to make sure his lung on the broken rib side isn't compromised. He looks like the Terminator with staples in his head and stitches in his lip. When I visited him, he was still in his bike shorts, so since we all know 'All chamois time is training time' he essentially got the best training effect from the Wheelers today. 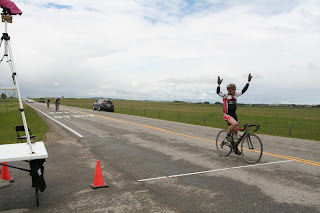 The story is that there was a small paceline going north toward Cochrane on the 22 and it has just passed another cyclist. All the cyclists in the paceline moved right after passing the cyclist, but at that moment the lead cyclist noticed something sticking out on to the shoulder and drifted left. The next two were able to drift left but Carl was still coming right and took an extra second to start drifting left and saw the obstruction so tried going right but still hit it. It turns out it was a fence post sticking out so quite long, high, and solid. Bad luck. Clothing Order, Second Round! It is open from now until June 22nd. We have opened the Store Front from Champion for the second round this year. Go to this link and enter the login: speed and the password: theory You then create your own login so that Champion knows who the order is going toward. The store front is a fair bit clunky and Champion is developing it, but it works. Here are some recommendations if you are ordering as a new club member and aren't sure what to get. Choose the size you want by looking at their sizing charts here. THESE CLOTHES ARE MADE FOR YOU and we DON'T STOCK ANY CLOTHING! Donna Forte Bella Jersey with full zip, with no other upgrades. Donna Forte Bella Short for women. OK, go to the login here and make your orders! THIS STORE FRONT CLOSES ON JUNE 22nd. 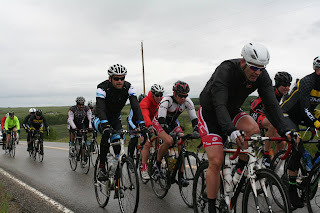 RACE REPORT - GHOST OF THE GRAVEL - About 113 intrepid riders left Sunday morning into the cold and wet. The Cat 4/5 pace was (as always for me), stupid fast as Jay and his fast group were determined to catch the 1/2/3 group that had left a minute before. A group of about 15 of us formed before we hit the first gravel/mud sector. We were a very Belgian looking group immediately. Through Water Valley where I saw Charles stopped with a mechanical which took him out of this day's epic. Next was the 55 Km gravel sector. After a gentlemanly pitstop we hit the long climbs. I said goodbye to this group and settled into my pace which included quick stops at both the 70Km and 90 Km stations. 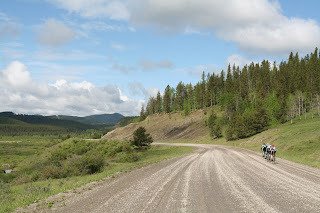 Was so looking forward to the long steady descent on Hwy 40 through the Hamlet of Waiprous, with that northwest wind blowing us - but as we rounded into that valley we were met with a strong east wind, driving rain and a touch of hail. This weather event passed as we turned to the Wildcat Hills and the last couple of gravel sectors to the finish. Stats: 143.4 Km, with about 65 on gravel/dirt roads. 1750 metres of elevation. Trev won the Cat 1/2 with a SPRINT FINISH! - - - Yes, that was not a typo. See photo evidence. Jay Bachman won the Cat 5 with a fifth place overall by my calculation. Paul Anderson fifth Cat 5 - sporting the new gravel Argon 18 which of course he rode to the course and back home after for a few extra miles. Alan Oickle - seventh Cat 4. Dan Alboiu - eighth Cat 5. Paul Connolly, Scott Bratt, Mike Godfrey and myself all finished as well. A mixture of bikes were used with the consensus that the racing bike (most used 27's or 28's) was the faster choice. The gravel and dirt was soft with the rain and it was a tough slog. The racing bikes were in my observation clearly faster, and perhaps more stable, on the downhill sections (including the gravel) and on the pavement of course. It was a very well run event with plenty of marshalls - congrats to DeadGoat Racing! Rumour is for a new course next year. Hey Everyone. The Speed Theory commitment to the Wednesday Night Series begins this June 17 and goes for five weeks. As you may know or not I'm taking over for Mike H as the race director this year. Of course it takes a team effort to pull this off, so please sign up to volunteer and/or bring race ideas/courses to the table as well. At this point I have a couple events lined up but we can certainly entertain alternatives especially new and innovative ones. The races will be posted on the WNS blog and there will be a volunteer link within each post. Thanks! Reminder to sign up for The Ghost of the Gravel now... registration closes soon! Registration for this new race closes in a few hours. Time to stop putting off signing up. It would be great to see most Alberta cyclists support this event. Already Alberta cyclists lost the awesome Prairie-Roubaix because they didn't support it, are you going to let this happen to another event? It's time to step up and support race organizers that spend time to offer you events. Unique events like the Wildcat-Roubaix and this new Ghost of the Gravel are what it's all about! If you are hesitant because of the gravel component, then this is a perfect event to learn a new aspect of cycling you may end up really enjoying. New awesome race announced! Ghost of the Gravel! The Deadgoats have just announced what you will be doing next weekend! on June 14th. View the Ghost of the Gravel race poster here. I strongly encourage our members to register for this event. We need to support events like this and the idea to have a huge loop road race with challenging terrain is exactly what this province needs. If you don't think road bikers race on gravel, watch Stage 20 of this year's Giro! Register here. I will be there for sure. STC crushing the new cycle tracks. Darcy was quick to take advantage of the new 12th Ave. cycle tracks and became famous in reward for it. It's too bad he is in the same video as a dude doing the cycling community a ton of favours thinking he is too cool for school for helmets and bike lanes. I had a quick stop on my way back from the Okanagan yesterday at my brother's house in Kelowna. I wanted him to try out a 1X11 Cross bike so he took mine for a spin. As we were bombing through the neighbourhoods I spotted the perfect cul-de-sac to raise a family!